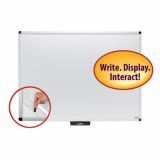 Features a magnetic dry-erase surface mounted horizontally, making group activities easier. Surface measures 35” Wx 22” H and is adjustable to two different heights. 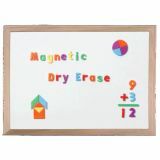 Reverse side comes with a standard masonite surface for attaching charts and writing pads. Includes two full length trays for supplies and a large 21D” x 36W” bottom storage shelf. 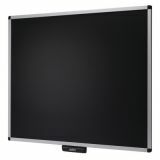 Measures 54” H x 36” W.
Wood Framed Magnetic Dry-Erase Board, 24" x 36"
These Magnetic Dry Erase Boards feature a durable low-glare steel surface that wipes clean when using dry erase markers. 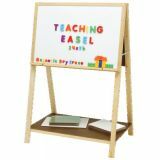 From printing or handwriting practice to math activities, these boards have many uses. 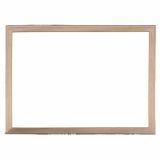 Features a wooden frame and measures 24" x 36". 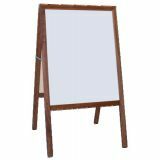 Wood Framed Dry-Erase Board, 18" x 24"
White Dry Erase Board is great for the home, office, and classroom. 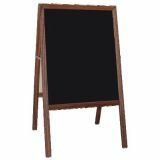 The board features a hand crafted wood frame. Measures 18" x 24". 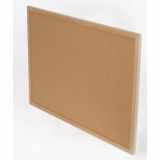 Can't decide between a dry-erase board or corkboard for your office or home? Why not pick a solution that does both. 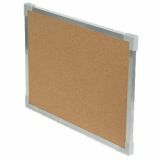 Simply place the items on the surface of the board, they stick without using pins, magnets or tape! 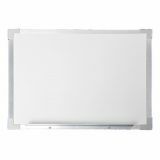 Each dry-erase board solution has a clear overlay, so grab either dry or wet erase markers and get to it! 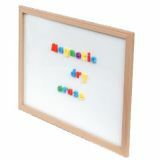 Write, display and interact with three times the benefit of a traditional board. Install 4 AA batteries into your board and watch the Justick Electro Surface Technology transform the surface from zero adhesion into a powerful force field. Justick by Smead-displaying today with tomorrow's technology. 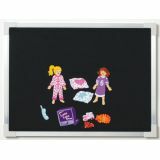 This versatile magnetic activity/flannel board features a magnetic dry erase surface on one side and a flannel surface on the reverse. Ideal for learning and creative activities! Aluminum framed with plastic safety corners. Measures 18" x 24".